In an effort to maintain an edge over Allied fighters, the D III had more power, a fuselage based on that of the D II, D I wings and an armament of two machine-guns. Ten D.IIIs (M.19Ks) were purchased by the LVA (Dutch Aviation Department) in Germany. Some 23 were built, but were not successful in spite of the fact that Boelcke shot down six opponents with this type. With a 160 h.p. Oberursel engine the maximum speed was 160 kph. 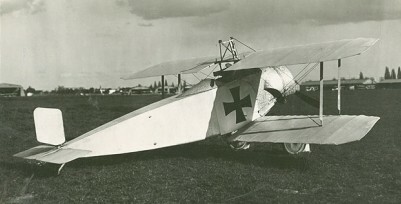 Engine: l x Oberursel U.lll, 119kW (160hp). Length: 6.3m (20 ft 8 in). Armament: 1 or 2 x 7.92-mm (0.312-in) LMG 08/15 mg.
Max T/O weight: 710kg (1,565lb). Max speed: 99 mph at sea level.